We've all heard the saying, "It's lonely at the top." For many startup founders, this sentiment rings true. Even after your startup has an MVP, and has raised a seed round, it can be difficult to connect with other people who understand the struggles you face and the wins you celebrate. The decisions you have to make about sales and marketing, product development, and funding are out of many people’s frame of reference. It's the moments of feeling misunderstood, and alone, that even the most passionate entrepreneurs can begin to lose steam. One of the easiest ways to find a strong startup network? Infiltrate one that already exists! Share tech office space with other founders (aka. coworking), and you'll have a sounding board for working out the problems you've been silently mulling. For the remainder of this article, we'll review the top seven reasons tech startup founders benefit from working alongside other founders in a pre-existing tech community. 1. You can't be an expert at everything. Fact: You're probably good at a lot of things. You wouldn't be where you are today had you not rolled up your sleeves and learned a bit of everything. However, that doesn't mean you should do everything. As you grow, you inevitably face new challenges—all requiring greater levels of expertise. The challenges faced by a company seeking their second round of Seed funding are different than those seeking their Series A.
Tech-centric workspaces solve this problem by placing tech-focused entrepreneurs in the same space. 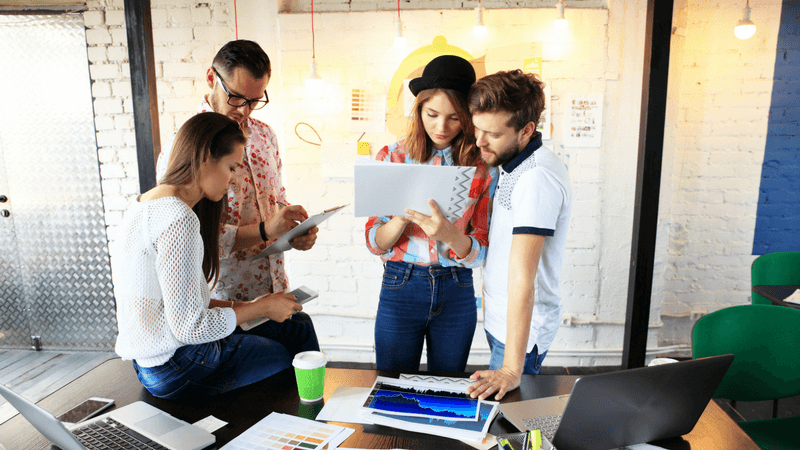 By working at a coworking space geared toward tech startups and founders, you can meet advisors, and people knowledgeable in tech by simply passing through the kitchen, sitting in the lounge, or sharing a work area. Have you ever watched an episode of Shark Tank where the pitch was just awful? Sometimes it may have been a great product, but the investors couldn't understand the market fit, the value of the product, or some other under-researched component. That's what happens when founders don't practice their elevator pitch. They don't think to challenge certain statements that are worth challenging, and they get really nervous. By sharing office space with other tech founders (and running into advisors from time to time), you'll continuously have an opportunity to sell others on what you're doing. This question gets asked a lot, better include that data next time. Everyone zones out after X number of seconds; let's shorten it. They don't seem to think we have a viable market fit; let's look more closely at that. In essence, you want credible peers to poke holes in your pitch. Because, at the end of the day, it's not just about saying something that sounds good—it's about confidently knowing your vision is rock-solid. 3. Gain greater access to corporations, advisors, and VCs. Share an office space with other tech founders, and you may not have to search as hard for potential VCs and corporations. How many times has a potential investor sought you out at your kitchen table or rented office space? When tech startups band together in one space, they tend to attract a number of VCs, advisors, and corporates through events, demo days, and mentorship opportunities. Some coworking spaces take things even further with accelerator programs. 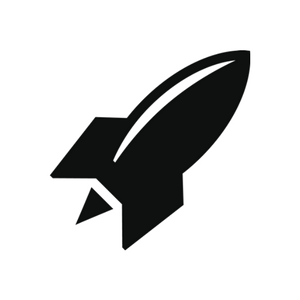 At RocketSpace, we've designed an accelerator model specifically for later stage startups wanting to partner with leading industry corporations. We understand that partnering with corporations can be a scary dance for founders. After all, no one wants to end up feeling indebted to one company. Yet, the win-win potential of partnering with a corporation can not be ignored—where startups are great at innovating, they often struggle with scaling. Conversely, corporations tend to lag when it comes to innovation yet know how to scale. It's a match made in heaven when you find the right company. 4. You will fill positions more easily. Are you ready to build out your sales team, but don’t know where to find the talent? Hiring for a startup isn't exactly easy. Not only are you competing with larger companies who can often offer bigger salaries, guaranteed job security, and top-of-the-line benefits. You're also looking to hire a sort of unicorn who can successfully manage a variety of responsibilities (and seems to love doing it). Basing your tech startup in a coworking space allows you to network with other founders and startup enthusiasts. Whether they know someone who is looking for a position like you’re hiring for, or, their startup is shifting gears and downsizing, surrounding yourself with a network of startup professionals makes it easier to find team members who understand the startup world and requirements. 5. You may get some free media coverage. Generally speaking, people like to both help those they know and tell people in their network about interesting people/companies/products on their radar. Opening up to other tech folks about your software or product allows you to get productive feedback and often an advocate. While marketing strategies are important, nothing beats word of mouth. It's often these "friend of a friend" recommendations that result in the best introductions and the biggest deals. Most shared tech office spaces offer a variety of social events for networking with other players. Sometimes reporters need quotes from tech startups for news stories. Let the managers of your coworking space know you're interested in contributing to anything that comes up. 6. You can demo your product with tech-savvy peers. Arguably, the hardest part of building a startup isn't the actual building; it's getting others to use your product. One of the biggest benefits to coworking with other tech startups is getting to demo your software or product with them. CTOs, and other more technical team members, can provide invaluable feedback. A casual comment may even prove the catalyst for a development decision that ultimately makes the company more desirable for investors. Additionally, garnering good reviews early is important. Who better to provide a glowing testimonial for the website than a peer? 7. You gain a support network. Finally, never underestimate the value of a supportive community who "gets it." You can have all the funding in the world and still sometimes feel a little insecure about what's next: Are you focusing on the right things? Will this new potential partner reject you? How are we going to handle this new roadblock? Unfortunately, many startup founders are reluctant to admit they're struggling. Building a startup is one of the most challenging, and rewarding, things you’ll ever do. Work alongside other tech founders, and you'll never have to ride that roller coaster alone. Ready to find your tech community? An ambitious community of founders with MVPs. High-caliber networking and educational events. 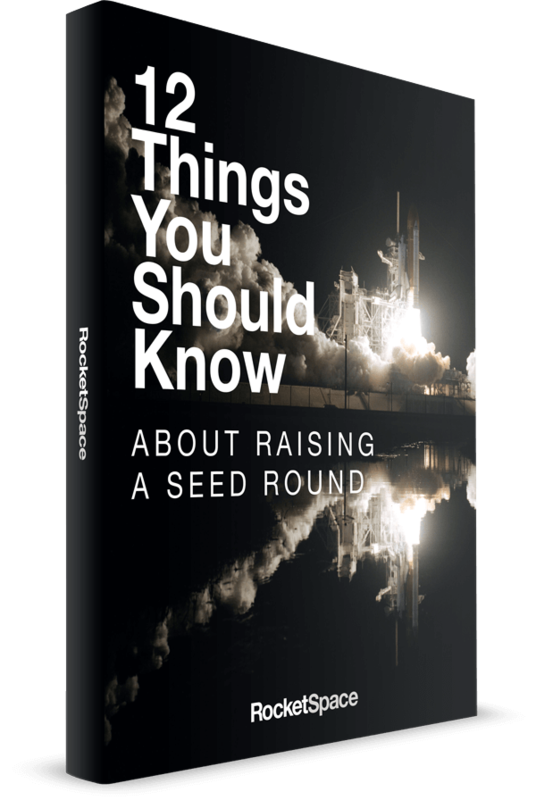 RocketSpace is a tech-focused campus, exclusively admitting Seed to Series C funded startups with MVPs that have users and customers. We carefully select only the best of the best with the intention of creating an exceptional talent pool of founders and tech startups. What does an exceptional talent pool look like? In six years, we've seen 18 “unicorns” raise more than $21 billion in funding at RocketSpace (excluding alumni Uber's funding).